Started by Howard May and passed on to his son Greg May and business partner Myrl Clayton, we’ve been in business since 1966 and specialize in residential exterior remodeling. Fully licensed and insured, May’s Construction offers a warranty for the services we provide - satisfaction guaranteed. May’s Construction is the only 5 star Certainteed and Mastic Elite contractor in Jackson, Michigan. Currently owned by Colin and Matt Sommers since 2011, May’s Construction continues to be a leading contractor in the Jackson area with the highest level of service and quality workmanship. Colin and Matt strive to make the remodeling process an enjoyable experience by helping you select the highest quality materials for your budget. To achieve the highest value possible, they advise you every step of the way based on the goals you have for your remodeling project. Our installers are experts in their field and respectful of your property. 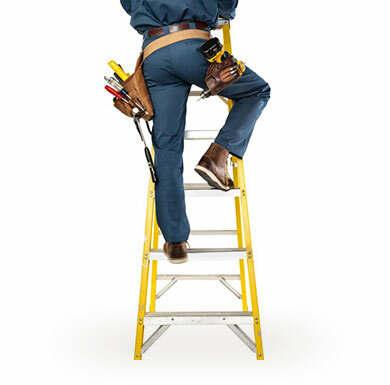 May’s expert installers are local, certified and have been with us for an average of 15 years or more. We hold on-going training and safety seminars to ensure our procedures are up-to-date in style and technique. Customer service is our installers’ number one priority. A job-well done, surpassing your satisfaction, is the result we expect from our trained team of professionals.